After a three-year break we gathered again to record “Nightcap”. Standard songs that for me had shaped me early on. George did a beautiful job at arranging and playing. I made a small video that’s on this site of George’s studio “Le Gonk’s” and the making of, “Nightcap”. 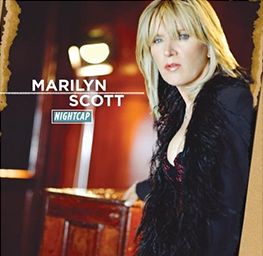 Marilyn’s flirtation with pop standards evolves beautifully into the musical equivalent of a life-changing romance on her second Prana Entertainment release, ‘Nightcap’. The collection finds her in a swinging, blues and jazzy way, exploring in an acoustic setting “eight songs I’ve been holding on to in my heart.” She recorded with a handful of old friends who happen to be some of Los Angeles’ most acclaimed musicians and jazz performers. George Duke both produced and arranged while also adding his special blend of keyboard work. 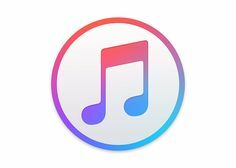 The album also features the support of Vinnie Colaiuta (Drums), Ray Fuller (Guitar), Brian Bromberg (Acoustic Bass), the Brazilian guitar work of Dori Caymmi and the legendary Dean Parks (guitar). Horn work included Brandon Fields (Sax), Dan Higgins (Flute and Sax), Rick Baptist (Trumpet) and the percussion sound of Lenny Castro. ‘Nightcap’ also marks a deepening creative relationship between Scott and Duke, the legendary R&B/Jazz keyboardist and producer who played pivotal roles performing, co-writing and producing individual tracks on ‘Take Me With You’ (1995) and ‘Avenues of Love’ (1997). Together they found the balance of songs and styles and Duke added new freshness to these classic arrangements. True to both of their jazz leanings, the two wrote improvisational endings both lyrical and musically to all of the songs, allowing the singer to give more of herself to these versions.